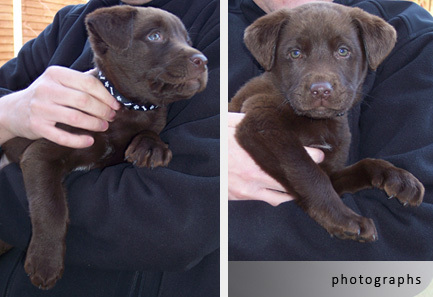 This pet portrait is of a chocolate labrador puppy called Bruce. He was just two months old at the time the photograph was taken. 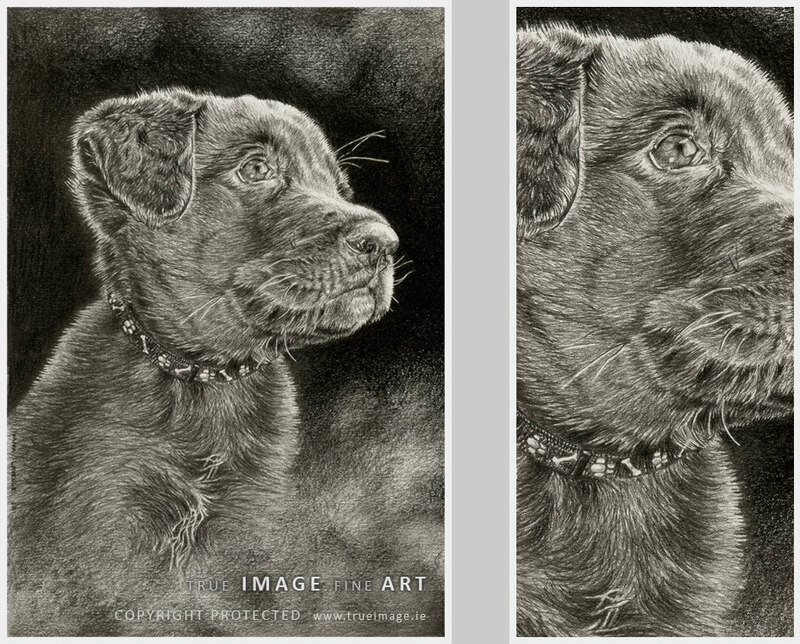 The drawing is drawn on Fabriano paper with graphite pencils ranging from 2H to 7B. The reference photograph was adjusted slightly before the drawing process began - owner's arms were removed from the composition. I also tilted Bruce's head slightly to make him look like he is sitting and I added some abstract background.